What a great exercise Dverse has come up with this week! Thanks to Claudia and Zsa from the zumpoems site. The task is to take a passage of prose and, following several steps, ‘translate’ it into poetry. As suggested I went to Project Gutenberg Australia and picked the opening of a Louisa May Alcott piece ‘On Picket Duty’. It needed very little change to become poetry according to my tastes…a testimony to the quality of the prose as it stood. Underneath, a guard of four. Behind camp-fires on distant plain. discordant sounds, air robbed of repose. from four quarters of the Union. 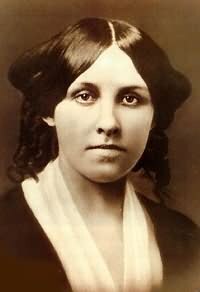 This entry was posted in Dversepoetry, editing, free verse, online writing, poet, poetry, Uncategorized, writer, writing and tagged Art, Dverse, Literature, Louisa May Alcott, poetry, Project Gutenberg Australia, World Literature, Zsa. Bookmark the permalink. cool sally…found the original piece on gutenberg and really like what you’ve done..esp. the first stanza makes for a great opening…maybe would be cool if you’d include the original text underneath your poem, so people can compare the source and what you’ve done..added..stripped away and so on..? Good idea Claudia…I did this quickly as last week I missed the deadline – will go back and edit…having said that it would then become obvious how few changes I have made and how lazy I was compared to some of the brilliant responses to this challenge! Nicely done. I agree with the quality of the original prose. Nice to read this after my own choice for the prompt. I loved the choices you made in the creation of the new poem from the very start. “Shone clearly” gets appropriately dropped as superfluous in the new context you create. You substitute “trunk moss draped” with “draped with gray moss” and so on. Very instructive to look at the intelligent and poetic-driven choices you make. Really compact and poetic final result! Really nice piece. I especially like the way you’ve implied equality, the subtle philosophy is what makes this so unique.